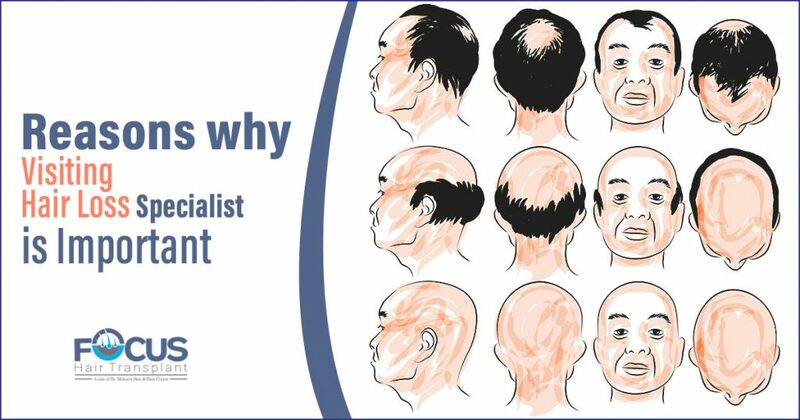 Hair Loss can occur because of different factors. Sometimes the problem is either sudden or you may notice excess shedding of hair, in that case, you should visit a hair loss specialist. No doubt, some people might feel uncomfortable in the first place. But during the consultation, you will get to know the reason behind the shedding of hair. Moreover, visiting the hair loss specialist at the right time will prevent the baldness also. There are different medications available to treat the problem. But still there are plenty of reasons to visit a hair loss specialist and if you have noticed the early signs of female and male pattern baldness. This issue happens because of different reasons which include environmental factors (pollution, and sun exposure). Even stress can also make the situation worse and there is a risk of telogen effluvium which is caused by either shock or frustration. Some other reasons include diet which means it does not include all the vitamins and minerals which helps in hair growth and makes the hair strong. Some people experience this problem because of skin condition, taking certain medications, and not getting enough sleep. Visiting a doctor will help him identify the root cause of the problem and he can quickly tell why you are facing this issue. He will let you know what you can do about this situation. In addition to this, he will let you know all the potential side effects of the medications and which method will be best to treat the problem effectively. The doctor will take a blood sample to examine the different conditions such as thyroid disease as it also results in hair thinning. Another method to diagnose the problem is scalp biopsy. This helps in identifying the skin conditions or any type of infection which might result in hair fall. He will let you know about different methods of treatment. In some cases, the problem is solved by taking the medication but if the problem is in excess then he will suggest hair transplant as it is one of the effective methods. This method helps in regrowth of hair which is natural looking as well as the results are permanent. Moreover, this has helped many patients to get rid of the problem. So, it is important you visit the doctor as soon as possible. Consulting an expert will help you get all the answers in a better way. If you are experiencing an early sign of hair fall then you should visit a hair loss specialist.